Say hi to Chumley, an exceptionally photogenic bulldog, attentive, awake, a great subject. I shot him on the sidewalk in front of my house in late afternoon indirect light with a Fuji W3 and approximated it into a phantogram using spots on the sidewalk. 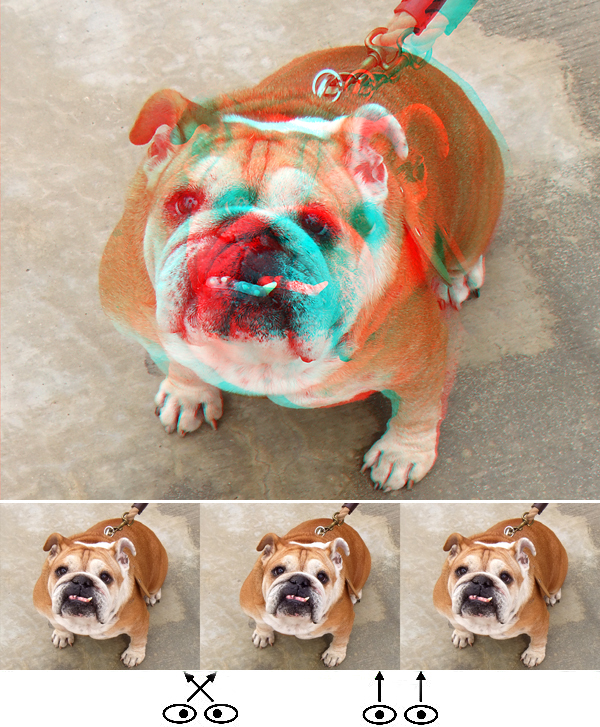 In fact I don't know if his name is Chumley, or if in fact it's a him, but Chumley is a fine example of colors that come across very well in anaglyph.